Here's a shot of the mullins column and tach mount in position. 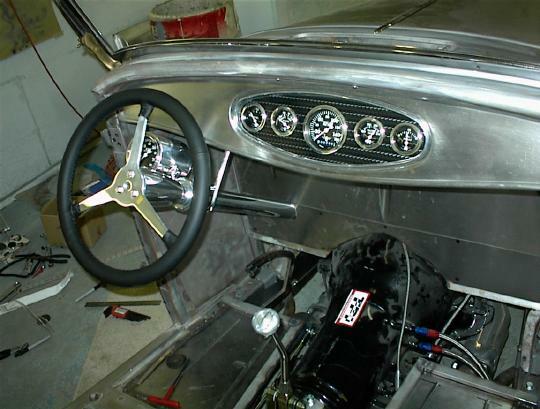 The column drop attaches to additional 1" square tubing brace under the dash. Eventually there will be an entire structure under the cowl to help stiffen the body and eliminate any cowl shake that is so common with this body style.